Trafalgar’s At Leisure packages allow a traveler to enjoy a visit to one location or area of a country, with some selected sights to see as well as some unscheduled time, where you can relax or wander the locality at your own pace. Unlike the larger, more comprehensive travel packages, the At Leisure packages focus more on one or two local areas and let you explore them in depth. The Rome & Tuscan Highlights tour gives you a chance to spend some time sightseeing in Rome, while also providing excursions to and stops in towns in nearby Tuscany. The Rome tour includes highlights of Vatican architecture, including the Sistine Chapel and St. Peter’s Basilica. 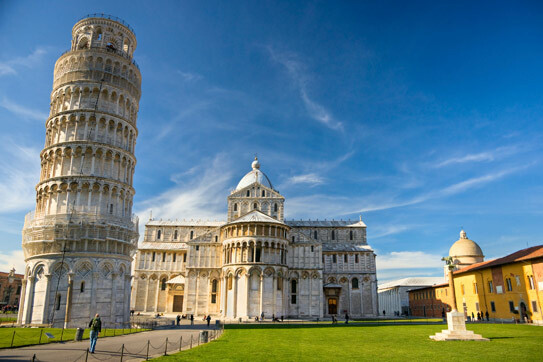 The highlights in Tuscany include the famous Leaning Tower of Pisa, the Museo Leonardiano (Leonardo da Vinci museum) in Vinci, and Florence, the capital of Tuscany and source of some of its richest history. The tour also includes many of the unique highlights found in Trafalgar’s Insider Experiences. 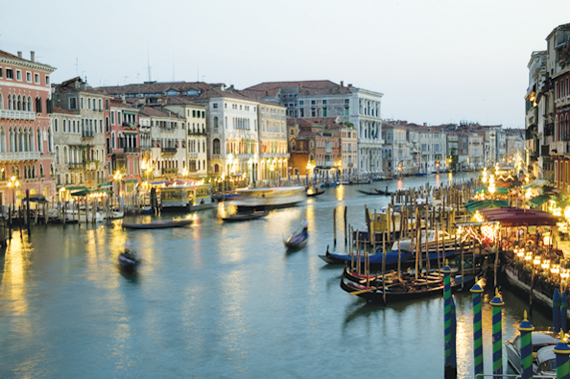 If you’d rather vacation in northern Italy, the Milan & Italian Treasures tour may be to your liking. 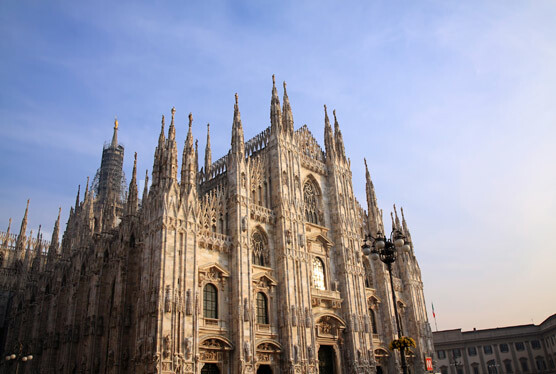 The trip package starts with a couple of relaxing days in Milan, where you’ll be able to see an overview of the city’s highlights and have some time to yourself to explore. Then, head east to the towns surrounding Lake Garda, the largest lake in Italy and a popular local vacation spot. You’ll be able to visit a villa on the lake for a dinner and vineyard tour, you can visit the Ferrari Museum in Maranello, and you can get a local guide to show you around Verona, setting of Shakespeare’s Romeo and Juliet. 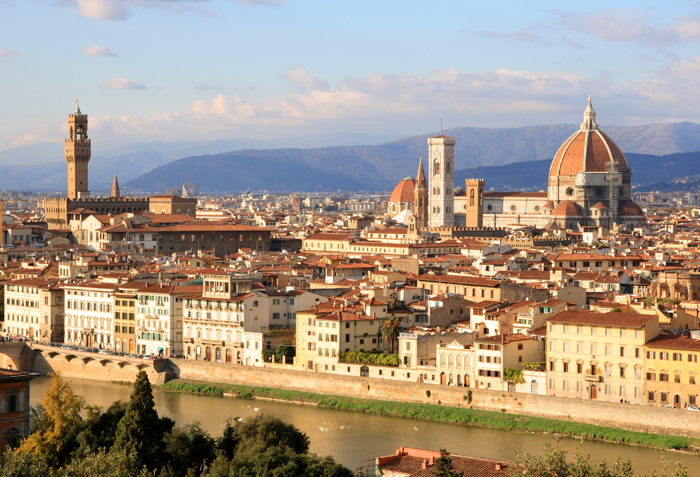 If it’s history you’re after, the Great Italian Cities Tour might be right up your alley. You’ll spend three nights apiece in Rome, Florence, and Venice, with shorter excursions to towns like Pompeii and Assisi available along the way. In each location, you’ll have a day to do some guided sightseeing, with local guides in each of the cities, before having a day to take at your own pace and do whatever you’d like. The Italian Concerto tour is for fans of architecture. You’ll start in Rome, follow that up with several days on the Amalfi Coast, and then head to Florence and Venice. In each location, you’ll be able to see some unique architectural features that in some cases aren’t open to the public (such as Donato Bramante’s smooth spiral staircase at the Vatican). 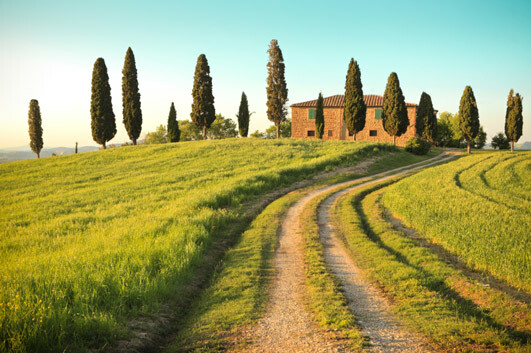 You’ll also get a wine tasting in Florence and a visit to the Isle of Capri while you’re on the Amalfi Coast. This package has less free time than the Great Italian Cities Tour, but has a different variety of experiences as well as some time on the coast. The Italian Glory tour features a wide variety of locations and things to do. The tour starts in Como and Milan before working its way east to Venice and then south, through Florence, the Amalfi Coast, and Rome. You’ll have the chance to take in experiences ranging from a glass-blowing workshop in Venice, to a guest dinner in Florence overlooking the Chianti Hills, to a guided excursion through the ruins of Pompeii. This tour offers a number of different guided experiences, a few leisure days, and a number of evening meals with local ingredients and local wine. Click Here to learn more about Trafalgar’s At Leisure packages! The Corsica and Sardinia tour will take you off the mainland to the two islands west of Italy. You’ll land in Cagliari, on Sardinia’s southern coast, and travel from there north to Barumini, and then Alghero for two nights. Then you’ll cross into Corsica, which is part of France but still has a large Italian cultural influence, and you’ll spend three days there, mostly in Ajaccio, before heading back to Olbia on Sardinia’s northern coast. This package provides a more laid-back itinerary, a chance to sample plenty of local food and drink, and a chance to see the uniqueness and differences of the island cultures from those of the mainland. AffordableTours.com and Trafalgar are here to provide you with the travel options to make your trip to Italy a memorable one, no matter what suits your tastes. If you’re in the mood for something a little more affordable and relaxing, think about one of Trafalgar’s At Leisure packages. Nice brief description of each tour. It would have been nice IF you had a link – right there within each description – to that specific tour. Much easier than to have to wade thru all the other stuff that is of no interest. Also, one big map that shows all the different cities of Italy would be good, to get some idea,. Thanks so much for your suggestions. We really appreciate getting feedback from our readers. I’ve linked the tours to their itinerary pages for easy viewing, and there should be a large map on every itinerary page. Thanks again, and happy browsing! Great suggestions Chet! We’ll absolutely adopt them going forward. I’ll see if we can get our hands on 1 really large map or if we just use the specific maps for each itinerary.